You know that feeling when you sit down to write and there’s nothing there? Just a blank computer screen mocking you? 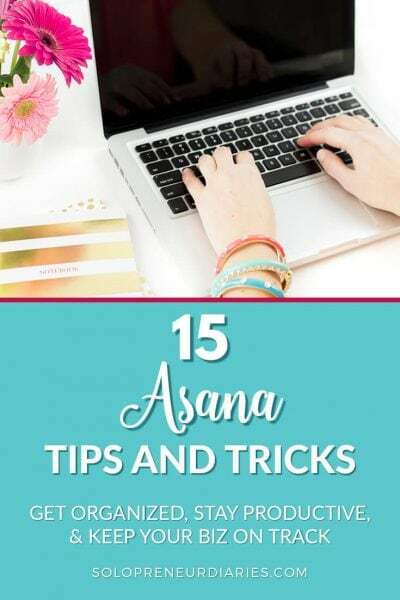 Today, we’re going to defeat the blank computer screen with 5 proven methods to brainstorm lots of content ideas quickly. Before we begin, let’s set the ground rules for brainstorming. No judgment allowed. This is not the time to decide if ideas are awesome, crappy, or workable. This is the time to get lots of ideas down on paper (real or digital). You can vet them later. 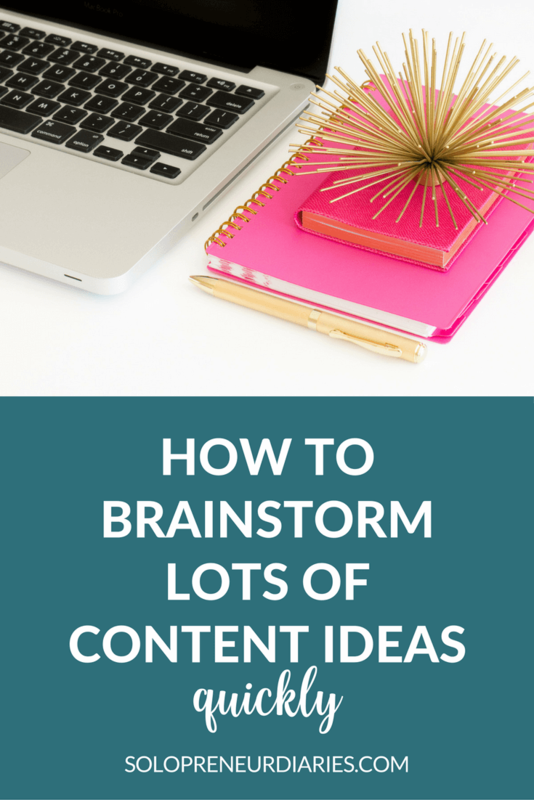 To recap, you can brainstorm lots of content ideas quickly if you. . . Mind mapping has been my go-to brainstorming method ever since college. It allows you to generate a lot of ideas through directed free-association. For those who aren’t familiar with the concept, a mind map visually organizes information or ideas around a central concept. There are many tools to help you draw a mind map, but I like to go old-school with paper and pen (and maybe some colored markers). 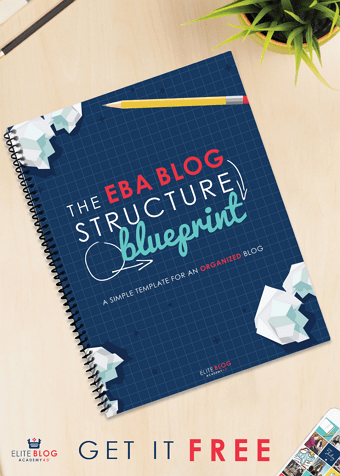 Start by writing one of your blog categories in the middle of the page. Then, add an idea related to that and drill down further into that idea. Repeat with several ideas. 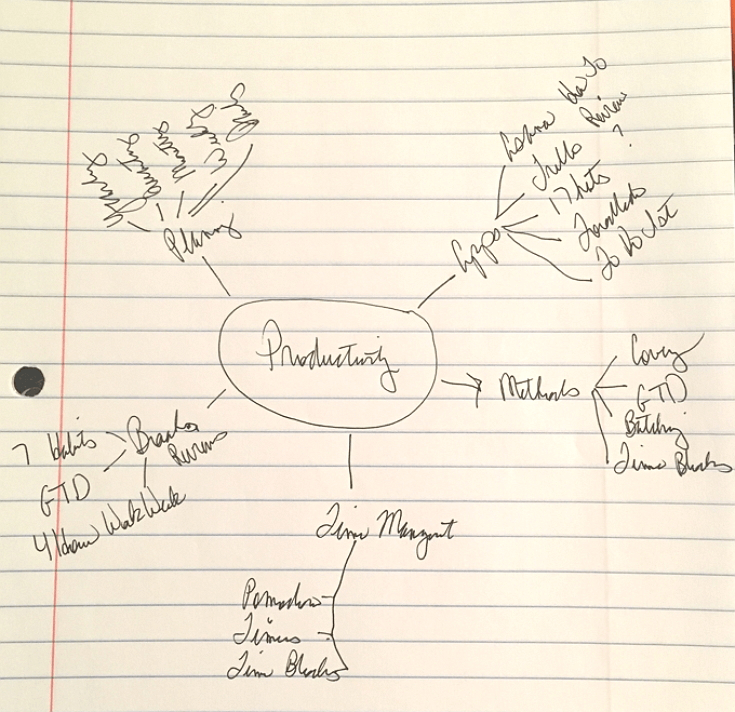 I started the mind map below with the category “Productivity” and came up with 25 ideas for blog posts. Each of the main branches could be overview or comparison posts. Each of the smaller branches could be more in-depth posts on a single topic. Each of these queries could be answered as a blog post. 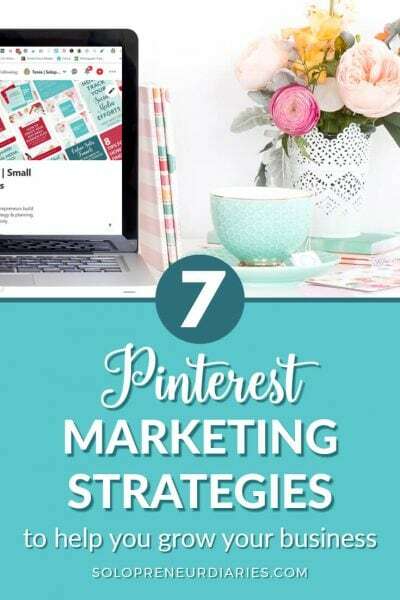 All that content you’ve been pinning? It’s time to make use of it. Pull up a board related to a category you want to brainstorm and scan the feed. Don’t click through to the posts; just look at the pins. If you click through, you’ll end up consuming content and possibly plagiarizing, even if you don’t mean to. Your goal is simply to generate ideas. Looking at my Productivity & Planning board, I see the several things I would like to write about. I could write a post on each of these topics, with my own slant. Pro-tip: for both Facebook Group and Pinterest mining, I strongly suggest setting a timer. You don’t want to fall down either of those rabbit holes. If you generate five ideas each from five posts, then boom, that’s 25 new post ideas. Content is about more than blog posts. You likely need ideas for Twitter, Facebook, Instagram, Email newsletters, video content (live or recorded), etc. 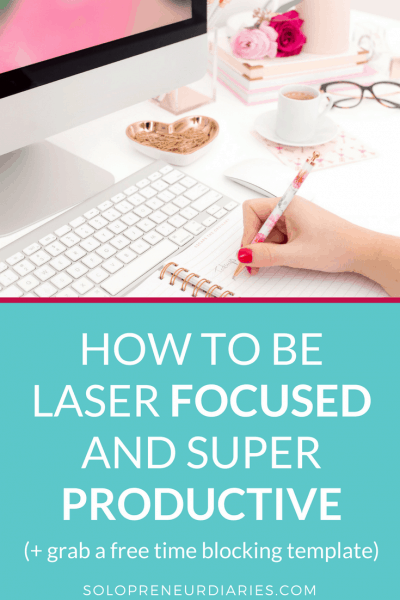 Go through your blog posts (or list of ideas), looking at them through a lens other than blog content. Let’s use this post as an example. There are five sub-topics. I could break each sub-topic out into a separate Facebook page post, with its own introductory sentence. I could create graphic for each sub-topic, which would give me five Instagram posts. I could do a video screencast of brainstorming with a mind-mapping app. I could do a video screencast on how to identify your most popular posts in Google Analytics. I could pull out five short quotes to use on Twitter. 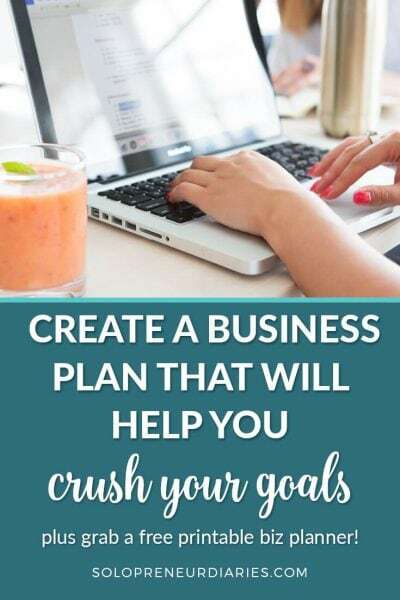 Wondering how you can use content marketing to grow your solopreneur business? Check out these content marketing basics. Now that you’ve generated all these ideas, make sure that you have a method to record and refer back to them. 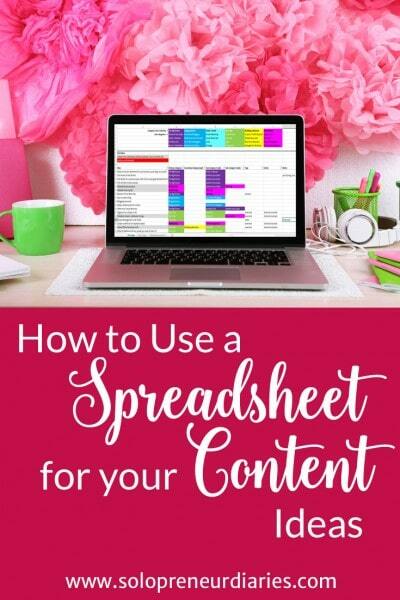 I use a content idea spreadsheet, but you could use Evernote, Google Docs, paper, or some other method. I will take all the ideas from this blog post (57! ), and add them to my spreadsheet. Each idea will go in a row, and will include the categories I thought of, any tags, and a short blurb on what I was thinking when I came up with the idea. If the idea was for another channel, then I’ll make note of that as well. When I put together my editorial calendar for next month, I will just open my content idea spreadsheet and pick the ideas that I want to write about. And, if a day comes that I don’t feel like writing about the topic on the calendar, I can open my list and pick another idea for that day. What methods do you use to brainstorm content ideas? Share in the comments below. 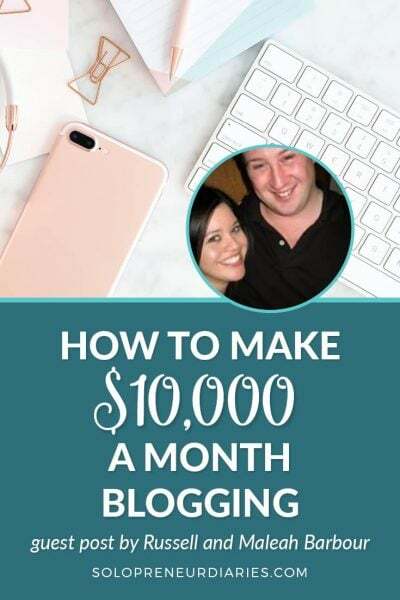 Thanks for sharing your techniques in developing blogging ideas! I had been looking for inspiration just like this!